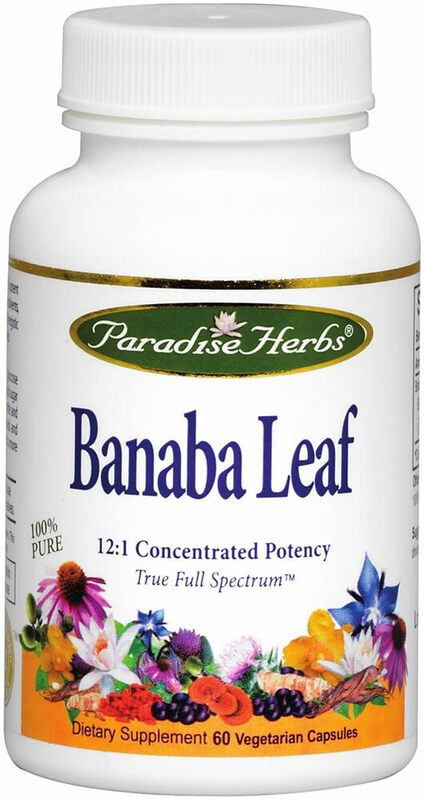 Paradise Herbs Banaba leaf is a True Full Spectrum 12:1 potent concentration. It is naturally extracted without the use of toxic solvents, harsh chemicals or gases to ensure all the active and synergistic constituents are present in the balanced ratio nature intended. Fluctuations in blood sugar are related to appetite and various food cravings for carbohydrates such as breads and sweets. Naturally grown or ethically wild crafted without the use of chemical fertilizers, pesticides, fungicides or preservatives.